Hanoi (VNA) – Under a recently issued programme, Vietnam is set to step up the use of and response to trade remedies to support the future development of several domestic industries. 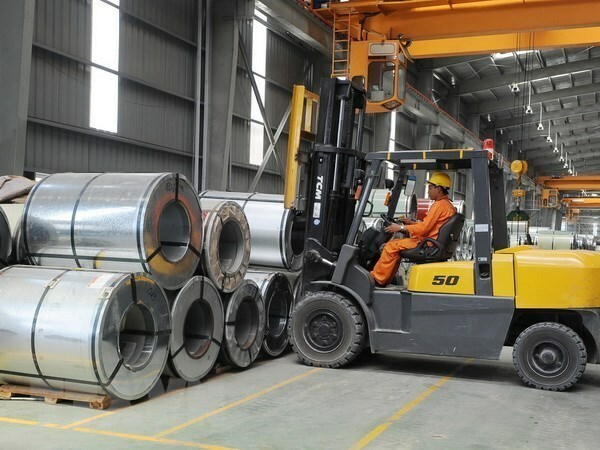 The Ministry of Industry and Trade, which issued the general programme for the 2018-2020 period, said anti-dumping, anti-subsidy and self-protecting measures are allowed by the World Trade Organisation (WTO), free trade agreements, and other countries to create a fair competition environment to support domestic production sectors. Amidst Vietnam’s intensive integration into the regional and global economies, trade remedies are becoming an important policy tool, helping to enhance the effectiveness of economic integration into the wider world, it added. The plan highlights that the application of trade remedies to support domestic industries’ development must be based on the full awareness and proper implementation of the Party’s guidelines and the State’s policies for the field. At the same time, relevant agencies have to comply with all legal regulations and international commitments to which Vietnam is a party. The programme also noted that mechanisms and policies on trade remedies need to take into account national industrial development strategies and policies, especially those on prioritised sectors, supporting industries, and small- and medium-sized enterprises. It also specified the key tasks, including perfecting policies and regulations on trade remedies, enhancing the enforcement of legal regulations on trade remedies, improving domestic industries’ capacity of using trade remedies, improving state agencies’ capacity in this regard, and boosting the protection of sectors’ interests in response to other countries’ trade remedies.